Student Life — The SEED School of Washington, D.C.
SEED’s supportive learning environment extends well beyond the classroom. 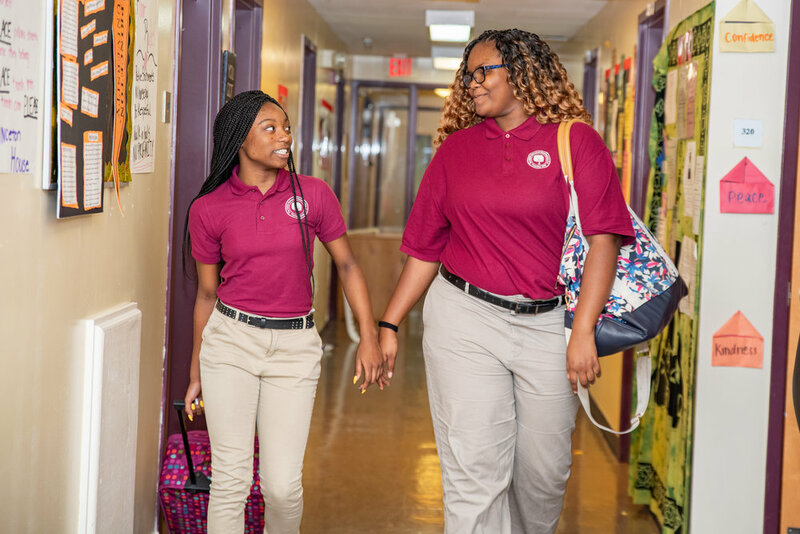 The SEED School’s student life program is the boarding component of the School’s 24-hour day, offering enrichment activities, life skills instruction, and support both before and after the academic day. The cornerstone of the student life program is the HALLS (Habits for Achieving Life-Long Success) curriculum, which teaches study skills, effective time management, interpersonal communication, and other life skills that will help them succeed in their educational, personal, and professional endeavors. During the student life program, students receive tutoring from volunteers, compete in athletics, attend cultural events and participate in after-school activities such as robotics, dance, and cooking class. SEED also partners with local and national organizations such as the Kennedy Center, Woolly Mammoth Theatre Company, and the U.S. Department of Interior to expose students to new experiences that will broaden their world view as well as inspire new passions and pursuits. Dorm life centers around “houses”, each named for a college or university and consisting of 12 to 15 students. This house structure encourages a sense of community and cohesion among peers. These tight-knit groups of students share both daily routines, including study hall, meal time and book clubs, and extracurricular activities, such as field trips and community service. Living in the dorms, students get a feel for life at college and learn how to live with others, a skill that will serve them well when they go to college themselves.